A landlord should be familiar with his responsibilities under federal, state and local law prior to renting an apartment or house to a third party. Federal law prohibits discrimination in housing and rental properties. State and local laws vary but are often based upon the "Model Residential Landlord-Tenant Code" or the "Uniform Residential Landlord and Tenant Act (URLTA)". Although the specifics of the rental agreement are largely driven by state and local housing law, landlord responsibilities often fall under a number of broad categories including providing the tenant with a safe and habitable living space, delivering property possession, abiding by the rental agreement, compliance with housing codes and responsibilities associated with the security deposit. The landlord is expected to provide a safe and habitable dwelling unit for tenants. Safe and habitable for occupancy will generally mean that electrical wiring, heat, plumbing, windows, roof and stairways are all in good condition and compliant with federal, state and local housing codes. All common areas must be safe and sanitary. For instance, measures may include use of lead-free paint and installation of smoke detectors.. Any violations of code must be remedied by the landlord. In many states, a property may be deemed uninhabitable if there is no running water, utilities or if the unit is dangerous to the tenant's health in any way, including infestation or mold. The landlord is responsible for providing the tenant with access to the unit within the time frame outlined by the rental agreement. Although the tenant is provided with certain "quiet enjoyment" and "privacy" rights, the landlord is able to enter the premises at reasonable times and upon reasonable notice. As an example, the City of Boulder model lease provides for entry by the landlord for "the purpose of making necessary or convenient repairs or reasonable inspections, or to show the premises to prospective residents, purchasers, or lenders. Entry may be made without prior notice only if owner/agent reasonably believes that an emergency exists, such as a fire or broken water pipe, or that the premises have been abandoned." The landlord is expected to fulfill all obligations under the rental agreement. In most states, landlord-tenant law, including eviction laws and security deposit laws, will apply whether the agreement is written or oral. As stated by the Washington State Bar Association, "When a landlord and tenant agree to the terms for the rental of property, whether orally or in writing, a tenancy is created." Given that the landlord, or property manager, must be reachable by the tenant, the rental agreement will generally provide the contact information at the beginning of the lease term. 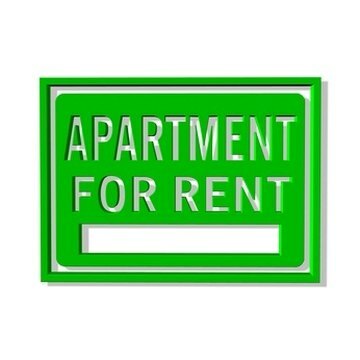 The security deposit is available to the landlord in the case of any unpaid rent or to repair damage to the apartment. The security deposit must be returned to the tenant within a specified time after the tenant moves out, less any itemized rent or repair costs. Susanne Forsyth began writing in 1997 and has 15 years of professional experience in capital markets and governmental policy. She has written for financial institutions, investors and eHow, on topics including real estate, affordable housing and renewable energy. Forsyth has a Master of Public Finance from New York University. Forsyth, Susanne. "Legal Obligations of Landlords." , https://legalbeagle.com/6573111-legal-obligations-landlords.html. Accessed 20 April 2019. What Is the California Tenant Law?